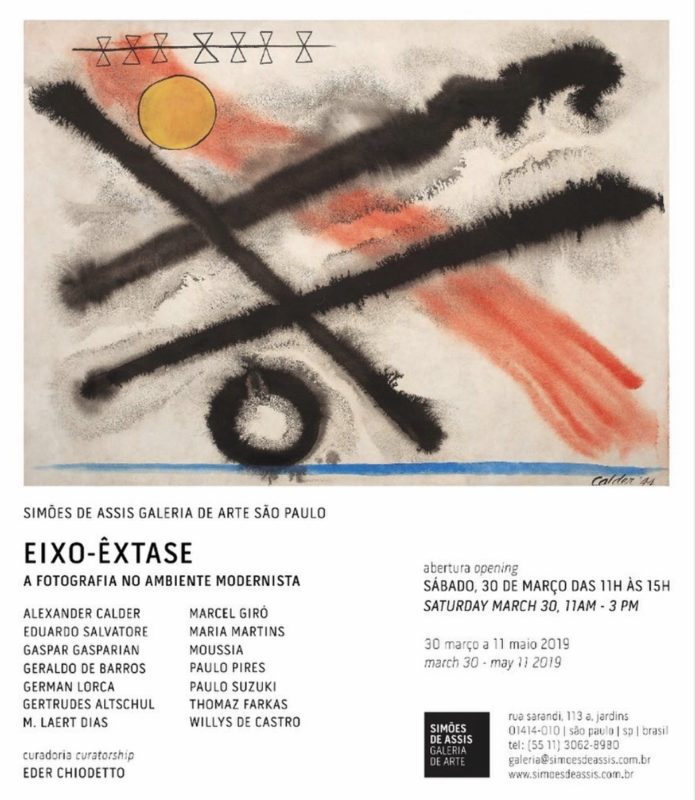 Artists: Alexander Calder, Eduardo Salvatore, Gaspar Gasparian, Geraldo de Barros, German Lorca, Gertrudes Altschul, M. Laert Dias, Marcel Giró , Maria Martins, Moussia, Paulo Pires, Paulo Suzuki, Thomaz Farkas, Willys de Castro. The echoes of dada and surrealism shook up and changed the status of art in the first decades of the twentieth century completely. This influence opened art to a more complex understanding of human vicissitudes, the weight of the unconscious and, therefore, the way we think about the role of art. About 25 years after, there were significant changes in Brazilian photography. While in the 1920s, European artists such as Man Ray (1890-1976) and Lázló Moholy-Nagy (1895-1946) had experimented a moment of freedom; photography was not strictly focused on its documentary vocation anymore: Starting to represent the sensorial and non-visible portions of the human psyche. In Brazil, aesthetic choices followed, at best, the book that preached mimesis between photography and academic painting of romantic themes.